Home/Cyber Security/What is a Zero-Day Attack? 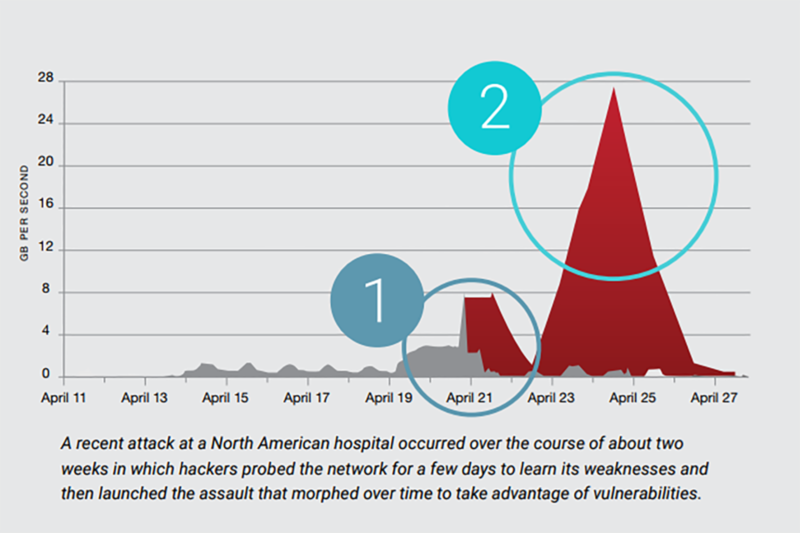 Zero-day attacks are the latest, never-before-seen generation of attacks. They are not volumetric or detectable from a known application signature. Security systems and experts must react instantly to solve the new issues, that is, they have zero days to react. Probe and Learn: Hackers assess network defenses and probe for vulnerabilities, looking for different weaknesses and identifying the type of attacks that will potentially be effective. It’s like an archer who picks the best arrows to put in his quiver before battle. For example, a hacker may determine that a combination of encrypted attacks, attacks from a rotating IP address source, new low and slow attacks and headless browser attacks will be most effective. Optimize, Morph and Attack: Hackers launch the attack and then vary the attack vectors (or arrows from the quiver). In this case, hackers often understand that legacy DDoS mitigators need manual intervention to troubleshoot and mitigate a zero-day attack. So they attack the weakness of the legacy mitigator (multiple manual troubleshooting cycles to stop an attack) in addition to attacking the application vulnerabilities. Cybercrime — the notion that someone is going to attack you with the primary motive being financial gain from the endeavor. Espionage — straightforward motive of gaining information on another organization in pursuit of political, financial, capitalistic, market share or some other form of leverage. War (Cyber) — the notion of a nation-state or transnational threat to an adversary’s centers of power via a cyberattack. Attacks could focus on nonmilitary critical infrastructure. The attackers can range from a tech-savvy teenager to a highly organized group that taps into huge server farms in places like Russia and Ukraine to facilitate attacks. The types of hackers are as varied that the methods they employ and include APTs (advanced persistent threats) agents, corporate spies, cybercriminals, cyberwarriors, hacktivists, rogue hackers, spammers and malware spreaders.